Scott Morrison called a Federal Election. Wikileaks founder Julian Assange was arrested in London. The verdict in the Geoffrey Rush defamation case was handed down. Yesterday was the opposite of a slow news day. But none of those big-ticket items dominated the Australian news cycle as much as Israel Folau and his decision to share an Instagram post on Wednesday night condemning groups of people to hell and damnation, including people who identify as gay. On Thursday night, Rugby Australia and the NSWRU released a joint statement, announcing that, without any “compelling mitigating factors” in sight, they intend to tear his contract up. I applaud Rugby AU for the decision and for their commitment to diversity and inclusiveness. Many people have claimed that Folau has a right to free speech and to hold whatever beliefs he likes. This is true. Folau does have a right to believe in whatever he likes and, within the bounds of the law, to say whatever he likes. But he is not immune from the consequences of saying whatever he likes. These consequences could be wide-ranging, including sponsorships being withdrawn, criticism on social media and, most significantly, termination of his playing contract. NRL redemption: Is Israel Folau headed back 'home'? Had Folau decided to hold these beliefs and keep them to himself, then the situation would have played out differently. There wouldn’t have even been a situation. But when he agreed to his new contract, he signed up for another four years of being a representative of rugby in Australia. A sport that has, particularly over the last few years, affirmed its commitment to diversity and inclusiveness. Rugby is a family, one where everyone is welcome. 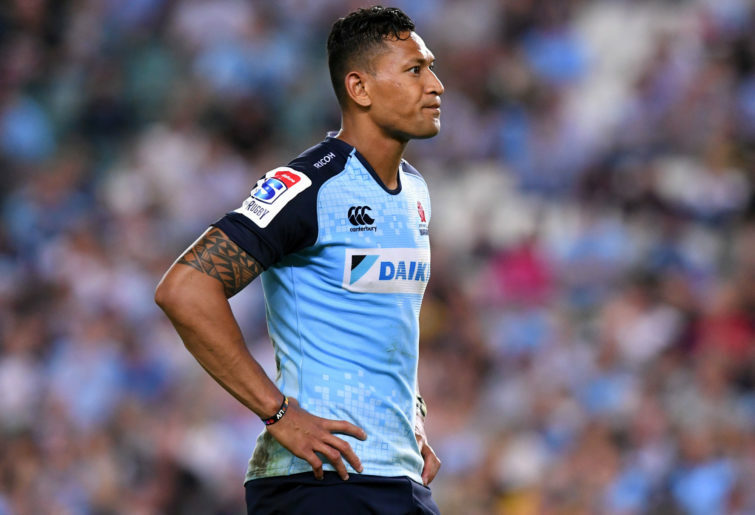 Folau’s posts share the very opposite view and are inconsistent with the views of his employer. His contract reportedly included a clause or clauses stipulating he is unable to share material on social media that condemns, vilifies or discriminates against people on the basis of their sexuality. The same sanctions would face me if I posted material on social media which breached the terms of my employment contract. Rugby AU had no choice. How could they allow someone to keep playing for the Wallabies after he broke an understanding between the two parties? How could they possibly allow him to continue to stand alongside teammates who may identify as gay, or wear the same colours as the Australian Wallaroos, some of whom may also identify as gay? What I am still struggling to understand is: why? What did he have to gain from posting this? Folau was warned about his social media behaviour after he did the same thing last year, so surely knew he had everything to lose. And this time he has lost his right to play for Australia. He doesn’t seem to care about the immense power of his words and the tremendous hurt they can cause, in particular to young men and women struggling with their sexuality. This lack of empathy for other people is something that I struggle with and is also inconsistent with the very book that Folau holds in the highest esteem. I’d also like to take a moment to applaud the actions of the NRL. 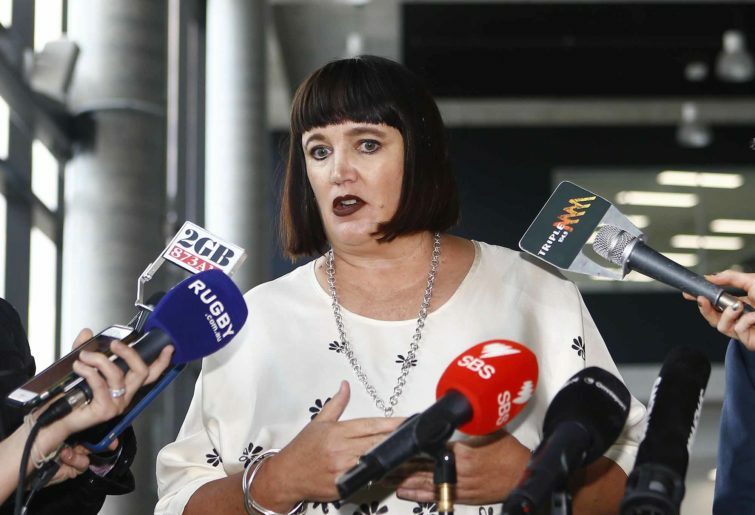 On Thursday night, Australian Rugby League Commission chair Peter Beattie banned Folau from the NRL and made it clear the ARLC backs the stance Rugby AU has taken. This week was a watershed moment in Australian sport. It demonstrated how much times have changed and how much rugby has changed. In the past, sexist, homophobic and racist views might have been tolerated. Rugby AU has made it very clear that this is no longer the case. And the Australian rugby family will become stronger because of it. Mary Konstantopoulos is a lawyer, sports advocate and proud owner and founder of the Ladies Who empire, including Ladies who League, Ladies who Legspin, Ladies who Lineout and Ladies who Leap. You can find her podcast on iTunes.